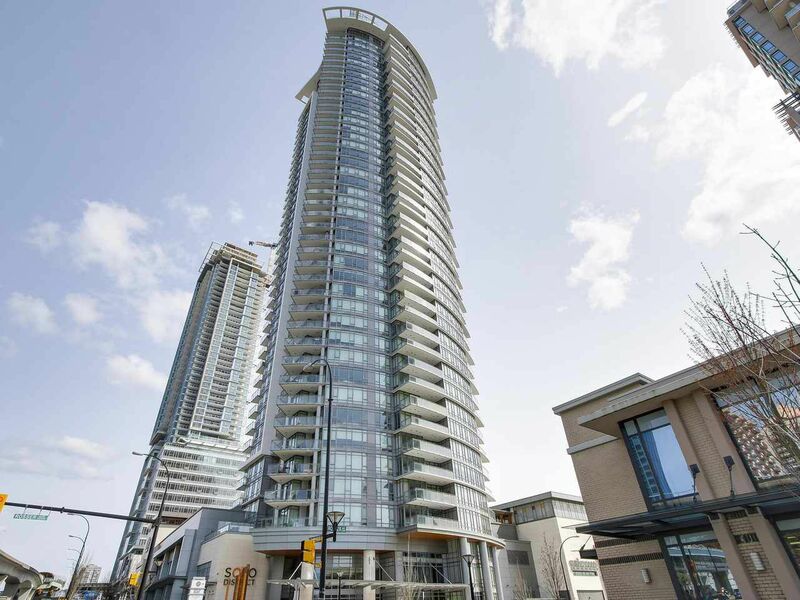 RARELY available, well-kept, 1-bedroom home at Solo District, offering beautiful easterly views in this high-quality development by Appia Group (BOSA). Heating & central air conditioning via geothermal heat exchange technology is included in the maintenance fees! Enjoy smooth 9’ ceilings, Armony Cucine cabinetry (imported from Italy), engineered hardwood floors, stainless steel appliances, quartz counters, 24-hr concierge & full-size washer/dryer. This development is tarted at LEED Gold equivalent. This is also the most convenient location in an area undergoing major transformation! Below, residents are mere steps away from shops including Whole Foods, Shopper’s Drug Mart, BC Liquor Store, and more. Brentwood Skytrain Station is just 1 block away with the highly anticipated, The Amazing Brentwood, completing soon. Buy now before Solo tower 3 launches, higher pricing very likely. Remainder of the 2-5-10 yr warranty is available for peace-of-mind. Open houses Sat/Sun April 22/23, 2-4pm.